Students and prospective students, stay connected with what’s happening at RMCTC by visiting this section on a regular basis. Check out projects, opportunities, career and technical student organizations, and the wide variety of programs available to you. 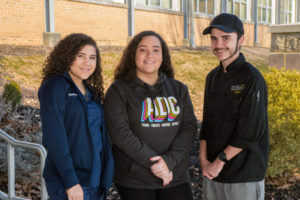 Food service for RMCTC students is provided by the Reading School District. Go to Reading School District menus page. Visit the Pennsylvania Study Island website.